Each year, on Halloween eve, Fright Club meets to go over their plan: Operation Kiddie Scare. Only the scariest of monsters can join Fright Club-Vladimir the Vampire, Fran K. Stein, Sandy Witch, and Virginia Wolf have all made the cut. They've been practicing their ghoulish faces, their scary moves, and their chilling sounds. 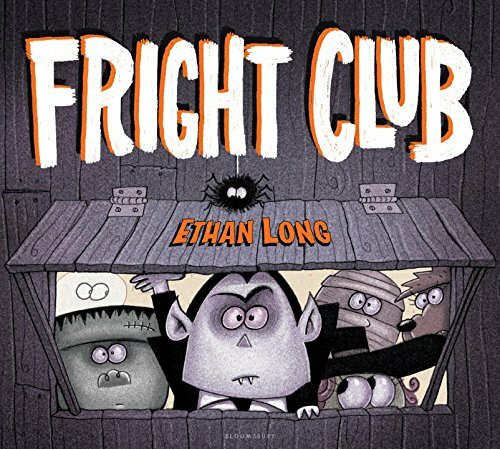 But when a band of cute little critters comes along asking to join in the fun, the members of Fright Club will find out who really is the scariest of all! This clever, rollicking read aloud text and delightfully spooky illustrations will have young readers laughing, cheering, and begging to be the newest members of Fright Club.